Think these are lipstick . 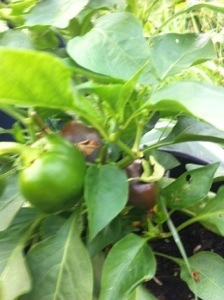 First of the peppers to turn and ripen. Not very big, but better than nothing! Expected to go red.